It’s a Saturday morning. It’s dark and the torrential rain is beating at my window. I see the clock hands creeping around to 6am and try to ignore it but the alarm goes and I know it’s time for action. I peer out the blinds at the rain bouncing off the pavements and cars, convince myself that the day will only get better and somehow get myself and my long-suffering boyfriend fed and out the door to make the 07:33 train to Brighton. If you follow my Instagram, you may have been slightly confused that rather than posing with my usual weekend morning train beer I was clutching a bottle of choco-milk but I had a mission to fulfill with a promise of beer at the end because this was the day of the Spin Up In A Brewery. 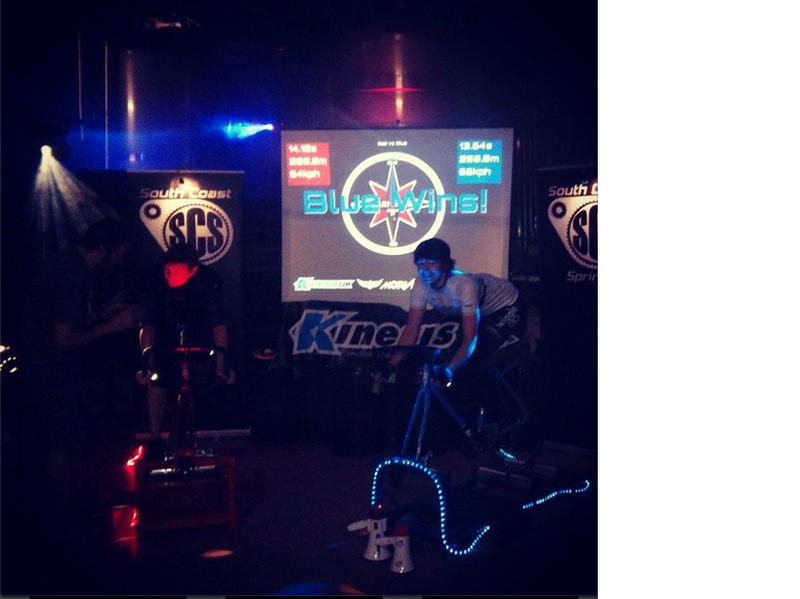 In its third sell-out year, the Spin Up offers led rides from the heart of Brighton on or off the roads through the picturesque Sussex countryside to the Dark Star brewery in Partridge Green. Having looked at the weather reports I left my trusty mountain bike at home and headed to the Velo Cafe with my road bike. Getting an earlier train meant we somehow missed the ridiculously heavy downpour that started the moment we came through the door which meant we could enjoy a coffee and cake in dry clothes watching the apocalyptic weather, keeping everything crossed hoping it would clear up before the 11am start. Thankfully with about 15 minutes to spare the sun put in a welcome appearance which made for a very pleasant ride. The volunteers leading the rides were pretty awesome and didn’t leave anybody behind, stopping the group to make sure everyone had a chance to catch up at opportune moments like at the tops of climbs. The views were stunning once we got out of Brighton and the highlight was the most exhilarating descent I’ve ever encountered on the road over the whole one year I’ve actually been riding a road bike – it never seemed to end! The leaders managed to get us all up to the brewery in just over 2 hours which gave everyone just enough time to park the bikes, grab a pint and get inside before the heavens opened again. Not so lucky were the mountain bikers who turned up covered in mud not very much later but with smiles on their faces having earned their complimentary pint! 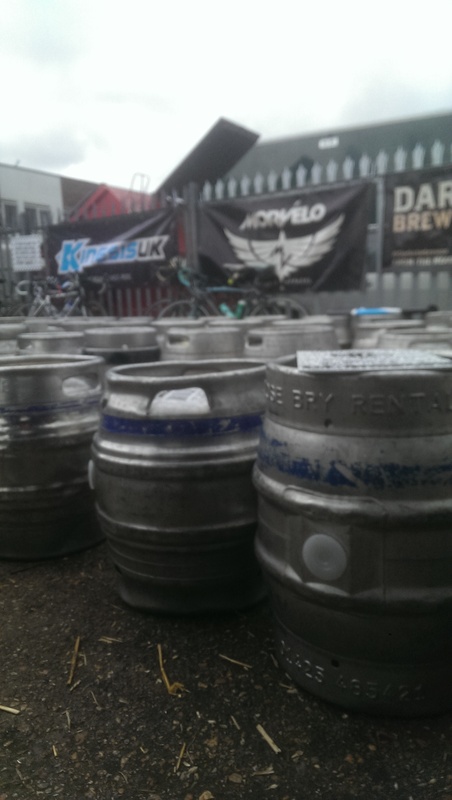 The brewery itself had been transformed into a massive celebration of cycling and beer with disco lights twinkling off the shiny tanks and cheesy pop blaring out. The main event for me was the Roller Racing, courtesy of South Coast Sprints, which I suddenly decided was a good idea having declined the opportunity to compete every other time I’d encountered it. This time I was beer-fueled. It turns out maybe beer is performance-enhancing since, despite being surrounded by girls who looked like proper cyclists I somehow managed to hold onto 5th place (or at least that’s where I was at the time I left so there’s a chance somebody came along and bumped me further down the ranking). I’ve gotta say that rollers are totally addictive (seriously – they almost had to drag me off as I hadn’t realized when the race finished). If I’d had another chance, I kept telling myself, if I’d only done this thing differently, I could have finished higher but it wasn’t to be so I’ll be jumping on the bikes again at the next possible opportunity to chase that PB. 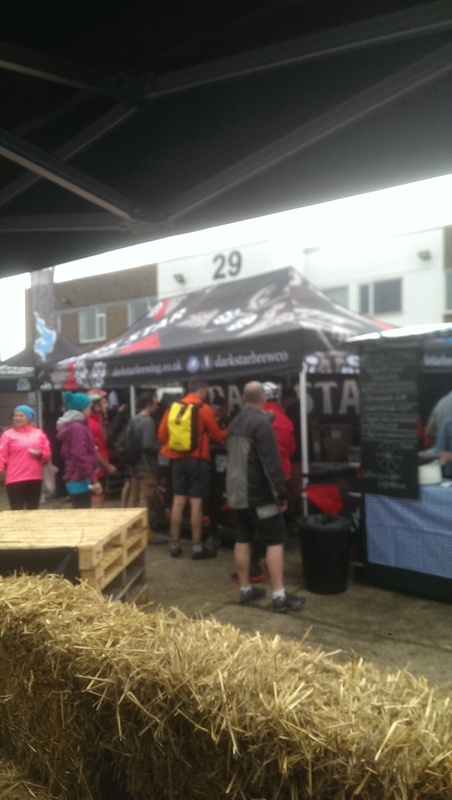 As well as the roller racing, there was a dress-up photo booth, surprise giveaways from ultra-cool cycling label Morvelo and the LBS Rule 5, live music and so much amazing food from pit-master Andy Annat, Mr Bake and Pleb Pizza. Of course the 23 mile ride cancelled out any calories in the enormous rack of ribs and the white chocolate tiffin I devoured. For £8 a ticket I can’t think of a better day out really. Dark Star has always been one of my favorite South Coast breweries and this was a great way to see where the magic happens in a non-standard-brewery-visit way. I was astonished by the generosity of the surprise goody-bag on exit containing a t-shirt, haribos, stickers and a delicious bottle of Belgian IPA which was greatfully consumed on the train home.I’ll definitely be back next year – I have a roller-racing record to break!